New models for delivering cost-effective and high-quality acute care are needed to meet the demands of the quickly growing and medically complex senior population. This is particularly true for seniors with heart failure who are often high utilizers of hospital-based services. 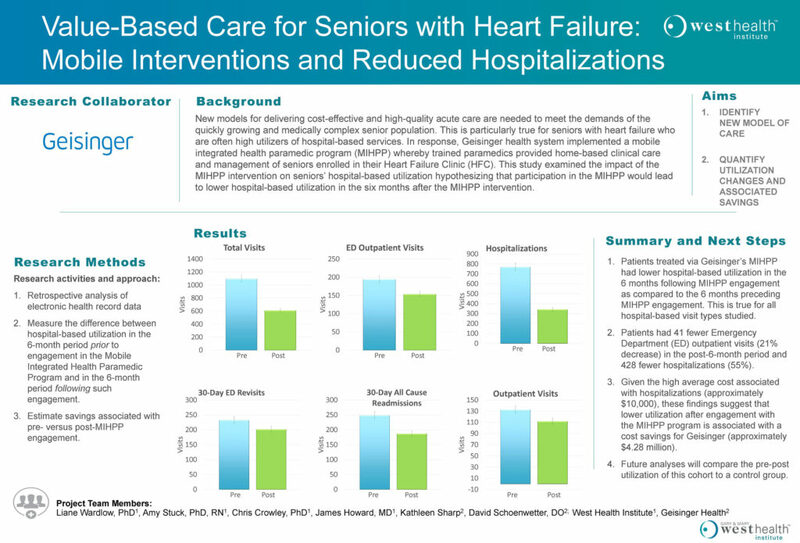 In response, Geisinger health system implemented a mobile integrated health paramedic program (MIHPP) whereby trained paramedics provided home-based clinical care and management of seniors enrolled in their Heart Failure Clinic (HFC). This study examined the impact of the MIHPP intervention on seniors’ hospital-based utilization hypothesizing that participation in the MIHPP would lead to lower hospital-based utilization in the six months after the MIHPP intervention.